Call Us at (931) 239-2611 to Speak to a NATE Certified AC Repair Expert Today! Our NATE Certified AC Repair Professionals are ready 24 hours a day to meet your Heating and Air Comfort needs. Equipped with the latest technology, our technicians make Air Conditioner Repair a fast and painless process. Get the job done right the first time. ACE Heating & Cooling is the only Heating & Cooling Company in Crossville to obtain the elite title of NATE Quality HVAC Contractor Status. Our Customers are guaranteed to be satisfied or our Service Call is Free. With Residential and Commercial Air Conditioning Repair Service, we are there to for you at home and your business. Call Us or Schedule your appointment online, same day service available. So, we adjust to your busy schedule to make a stressful time, less stressful. Saturday and Sunday service available to meet your busy schedule. Now providing 24 Hour AC Repair in Fairfield Glade, TN. Commercial Air Conditioner Repair Service on Saturday and Sundays. We offer businesses a complete range of Mechanical Services. Visit ACE Heating & Cooling.com to learn more. We guarantee you will be satisfied or the Service Call is free. At ACE Heating & Cooling our main focus is Customer Satisfaction. Searching AC Repair Near Me can be overwhelming. We simplify the process with fast, but thorough around the clock air conditioner repair with fast and friendly service. We encourage all our Customers to Leave Feedback on how we can better our Services. Check out some of our Reviews. Have you been told your Air Conditioning Unit cannot be repaired? Or R-22 AC Units cannot be repaired? Call us for a Second Opinion, we specialize in complicated HVAC Repairs. Visit our Retrofitting Your Central AC Unit Information page to better understand the R-22 phaseout and keep your unit running. Keep your HVAC system running without worry with ACE Heating & Cooling Bi- Annual Maintenance Agreement. The most thorough and complete Maintenance Plan in the Upper Cumberland Tennessee Area. 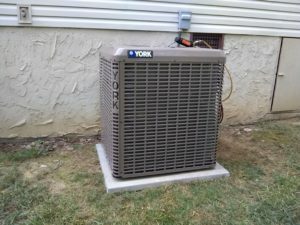 Spring/ Summer Air Conditioner Maintenance and Fall/ Winter Heating Maintenance. Discounts on Parts, Repairs, Service Calls and System Replacements all for a few dollars a month. Fast, 24 Hour AC Repair in Crossville. NATE Certified Technicians get the job done right the first time. Free Second Opinions and Estimates.